“That Kombucha is $10.” The 5’4 hipster wearing a retro denim jacket and annoyed expression said after I put the bottle of tasty probiotics down on the counter. “Oh, huh, okay.” I responded shocked, while trying with all my might not to burst out laughing at the ridiculous price he practically dared me to pay. True, Kombucha is expensive, but not thatexpensive, still, I played along. If he thought I was a tourist just like everyone else, okay, and since I hadn't splurged on a cocktail in years, I paid his sky-high price, because truthfully, the role it played in a memorable Monday afternoon adventure was priceless. 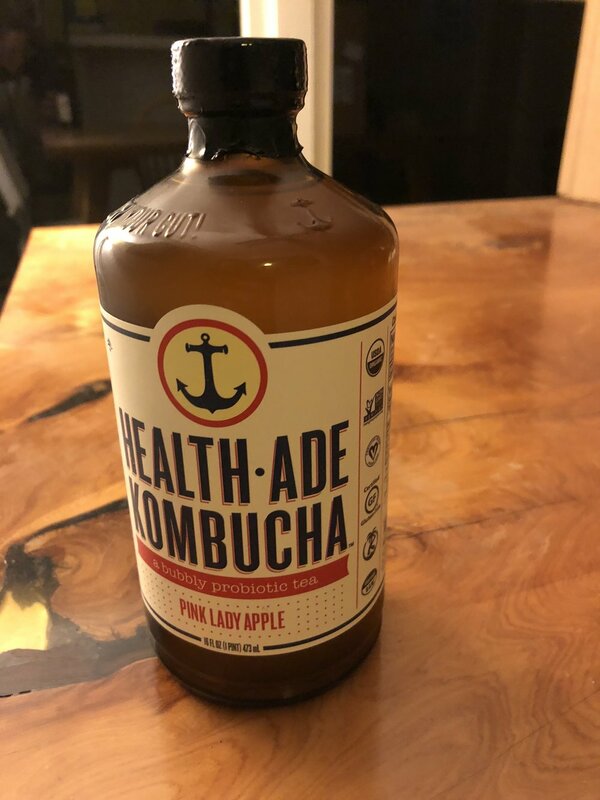 The world's most expensive bottle of Kombucha. It is both invigorating, and a huge relief to have the weighty explanation of why I am pursuing my big life goal to earn my pro card this season off my chest, thank you for reading about it last week. :) Now I can simply put my head down and go to work. However, I can’t train every single hour of every day, (although I’d be up for it), there are other needful moments I need to make time for; moments for rest, moments for nourishment (for the body and soul, i.e. eat plenty of food and spend quality time with friends and family), and most importantly, moments to explore. I believe my open mind and creative heart thrive in opportunities to explore their curiosity by seeking out and sitting in new places every day. That’s right; I do make time sit down. I prefer being in motion, but I appreciate the magic found in those peaceful moments, too. After my first run last Tuesday. I have been running a lot in 2019. It has been fantastic. Better than fantastic. I have my first race of the season, the Surf City Half marathon in less than two weeks, hence, the heavy run training, but since I am a triathlete, I know after the race my #Taryn’sTerrificTuesdays, AKA Tuesday Triple Run Fun Days, will fade away in lieu of more bonding time pedaling on Simone, (my Dimond bike). I am looking forward to the shift, variety is what makes triathlon challenging and fun, but in the meantime, I am soaking up every single stride I extend on Tuesdays, and nearly every other day of the week. On the other hand, even though I have been mostly running these days, there have been plenty of opportunities to swim and ride, too, and on special days, I get to do all three. Last Saturday was one of those days. It was gorgeous from sun up to sun down. The storms that flooded the streets and hills surrounding Los Angeles, Monday through Thursday, had finally moved on, which meant the surf was high, but the sun was out and the air was warm; it was nearly a perfect day. Lucky for me, I enjoyed every single second of sunshine. 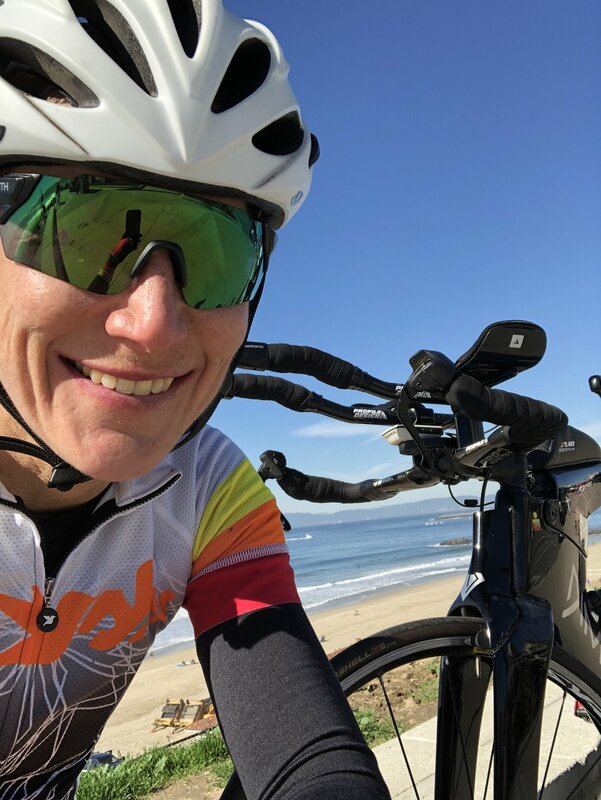 I watched the sunrise while running along the beach, then shared a fun, yet daunting swim out past the post-storm surf with my friends/nutty triathlete’s of SMOG, and finally rode up and down the hills above the ocean in Palos Verdes. I even snuck in a quick visit with my parents pedaling from the beach to the climb. The nutty members of SMOG who delight in swimming in mid-winter conditions. Photo courtesy of Courtney Clifford Mineo. It was a day to explore my beautiful city on foot, from the sea, and on two wheels... in January! It is days like this which make the heavy price tag we pay for taxes and time spent in traffic to live in this glitzy city along the coast well-worth the effort. Yours truly post swim, bike, and run. Then again, the meandering detour I took yesterday to visit my favorite small city within the BIG city, truly cemented LA's arrow through my heart. I have ridden up and down Pacific Coast Highway many, many times the last couple of years during 100+ mile bike rides, and driven by the Malibu pier numerous times since I moved back to LA after graduating from college, but I have never stopped to explore it. However, after leaving Men’s Wearhouse on Monday afternoon, (Lost In Space is nominated for many Visual Effects Society Awards, hence the need for another tuxedo rental), I decided since my workout was already complete, and the traffic was minimal due to the MLK holiday, that I would go on an adventure and finally walk out to the edge of the Malibu Pier. It was on the pier where I discovered the aforementioned world’s most expensive bottle of Kombucha. Next, I sat on a bench, wrote down a few words, stared at the ocean, listened to the many voices mumbling around me, and smiled, recognizing this moment of exploration as a vital part of my training, too. This year is about appreciating every single moment; the still ones, the sweaty ones, the loud ones, and the silent ones, they are all important steps leading me where I want to go. This song and video, Be Alright, from Dean Lewis is a bit of a bummer, but too beautiful not to share.